From the moment you first meet Candace, you get an overwhelming sense of being in good hands. Candace was born and raised in Los Angeles. Her mother was a school teacher and her father, a Real Estate Broker and an Attorney. Candace attended Cal State LA, where she studied Sociology, then moved to Santa Cruz in 1988 as the Regional Training Manager for Gottschalks. Candace loved training and motivating sales associates and eventually moved on to her own entrepreneurial endeavors. Candace founded Elevate Consulting, a firm focused on Motivational Training, Telemarketing Training and Conflict Resolution. 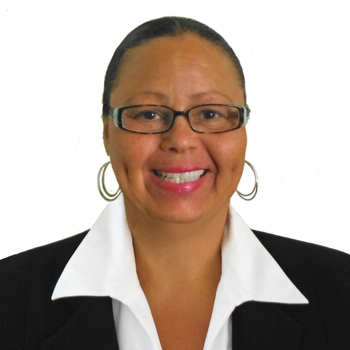 Candace transitioned to a career in Real Estate in 1998 and is the Broker and owner of Bradfield & Associates in Aptos. Candace's business is generated primarily by referrals from satisfied and repeat clients. Her clients describe her as an impressive negotiator who expends an endless amount of energy and support on their behalf. Her knowledge of the intricacies of real estate transactions, personal attention, selfless counseling, and love of the profession ensure her clients unparalleled satisfaction in their home selling or buying experience. Candace brings an array of wonderful qualities and extensive experience to each transaction and to every client. Candace is COMPETENT, COMMITTED, CONNECTED, CARING and CONFIDENT. Candace loves the real estate business. She loves Buyers and she loves Sellers. She delights in finding the perfect home for her clients, and she is wholly committed to every detail when selling a home. Candace consistently produces outstanding results for her clients. National Association of REALTORS - N.A.R. California Association of REALTORS - C.A.R. Santa Cruz County Association of REALTORS - S.C.C.A.R. If you don't think it matters which Realtor you choose, THINK AGAIN!